E-Waste is incredibly toxic to the environment and batteries are no exception. The Battery Recycling Bin addresses this issue by keeping batteries out of the waste stream, but don’t let its small size fool you. 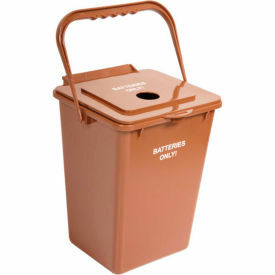 This bin can hold a lot of batteries and its sturdy handle makes it easy to transport.